I recently received a message from a client about “Why my brakes squeal“. Not knowing the brake pads, I would have to say that they are at their end of use. Their is a tiny piece of metal that will touch on your rotor alerting the driver that the pads are ready to be replaced. Organic Brake Pads: Organic brake pads are cheaply made and not meant to last very long. They are a softer composition brake pad. When you see a lower price on brake pads in a store, these are organic pads and are their loss leader. 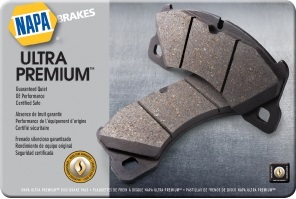 Elizabeth Auto Care does not carry, recommend or sell these types of brake pads. 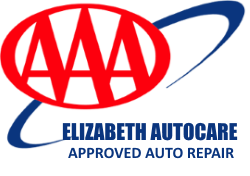 If you are hearing a grinding noise or loud squeal when you apply your brakes, it may be time to bring your vehicle in for your free brake inspection at Elizabeth Auto Care, a AAA approved auto repair facility. 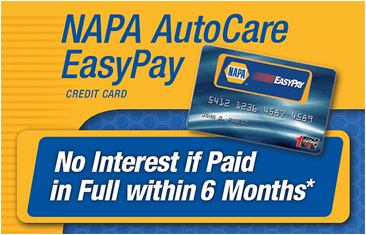 We recommend only using premium NAPA brand brake pads, discs, drums and rotors. Please call (412) 384-7700 to schedule a brake inspection appointment with an ASE certified mechanic today. Please also visit our Car Repair Appointment Scheduler to set up your brake inspection at our Elizabeth PA auto facility. Take $15 off Complete Front Brake Service for your vehicle. Bring in your car today and we’ll ensure your front brakes are perfect… and save $15! Take $15 off Complete Rear Brake Service for your vehicle. Bring in your car today and we’ll ensure your rear brakes are perfect… and save $15!